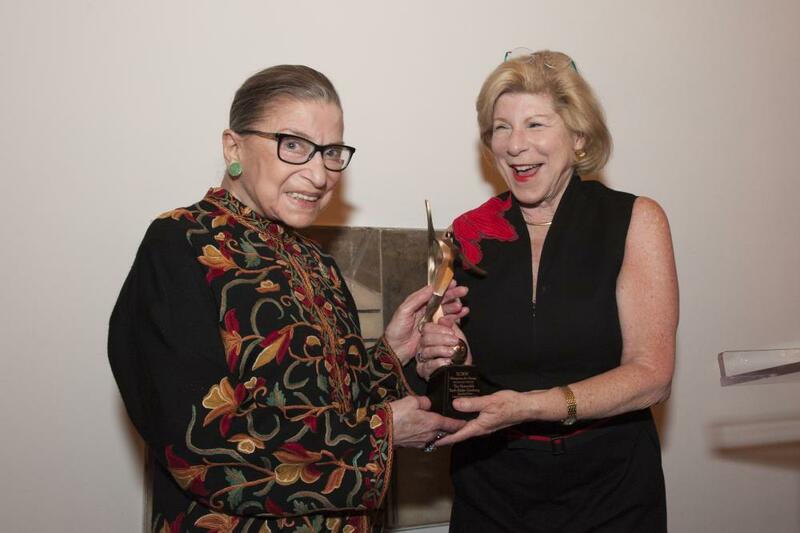 On March 10th, ICRW awarded its annual Champions for Change Award for Vision to Supreme Court Justice Ruth Bader Ginsburg for her unwavering commitment to women’s health, well-being and equal citizenship stature and her courageous vision for legal systems that respect the dignity of all humankind. Throughout her career, Justice Ginsburg has fought to ensure that all forms of discrimination, both subtle and overt, have no place in our culture, a bold vision which has made a particularly important difference in the lives of women across the United States. Establishing laws that call for women’s equal access to economic opportunities and property and ensure their agency in making decision around their health care is essential to cement women’s equal stature in society. In the absence of such laws, discrimination based on gender can continue uninhibited, hampering efforts to empower women to improve the lives of families, communities and entire countries. Justice Ginsburg has dedicated her career, first as a co-founder of the ACLU’s Women’s Rights Project and then as a Supreme Court Justice, to using her knowledge of the law to ensure that the structural barriers preventing women from attaining equal stature are dismantled. 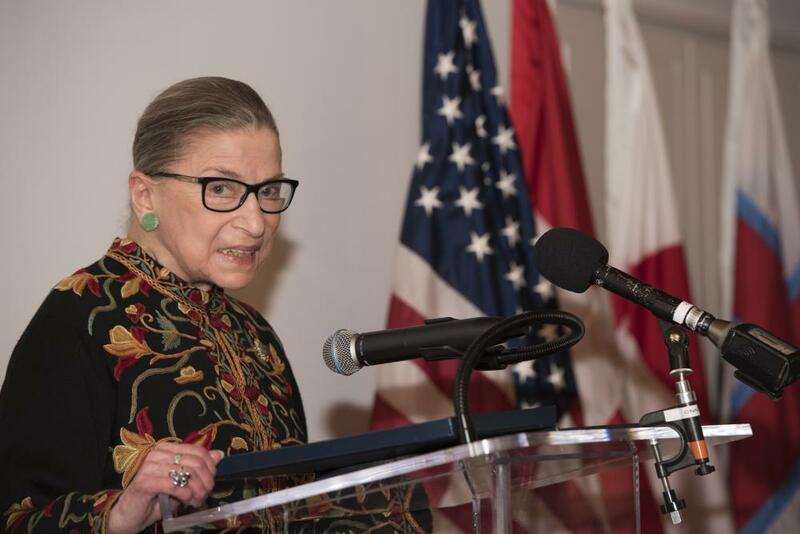 Just a few years after Justice Ginsburg co-founded the Women’s Rights Project, leading activists for global women’s rights started ICRW, in order to ensure women’s voices were represented in efforts to tackle poverty and inequality worldwide. Both institutions were working separately but parallel, with a similar mission to end discrimination against women. 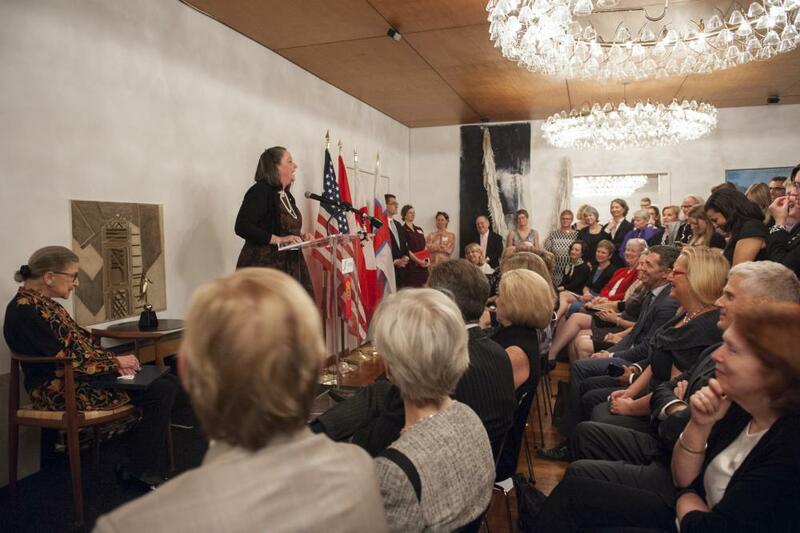 The ceremony was held at the residence of Denmark’s Ambassador to the United States, His Excellency Lars Gert Lose. For decades, Denmark has been a leader in gender equality – which the Ambassador called a cornerstone of their national ethos– and has been a leader in its support for global development efforts, especially around women’s rights. “Change requires brave women and men to give voice to inequalities in our society. Change requires political and legal frameworks to promote these efforts. Change requires strong advocates like Justice Ginsburg to empower people and, thereby, paving the way forward,” said Ambassador Lose. This ceremony was one in a series of Champions for Change events to celebrate ICRW’s 40th anniversary. Other awardees include Dr. Soumya Gupta, for her research on women’s empowerment and nutritional status in India, Melinda Gates for her unwavering commitment to ensuring that every person has the opportunity to live a healthy, productive life and to Jill Sheffield for her enduring dedication to women’s reproductive rights and lasting contributions to the improvement of maternal health across the world. To read ICRW’s in-depth interview with Justice click here.